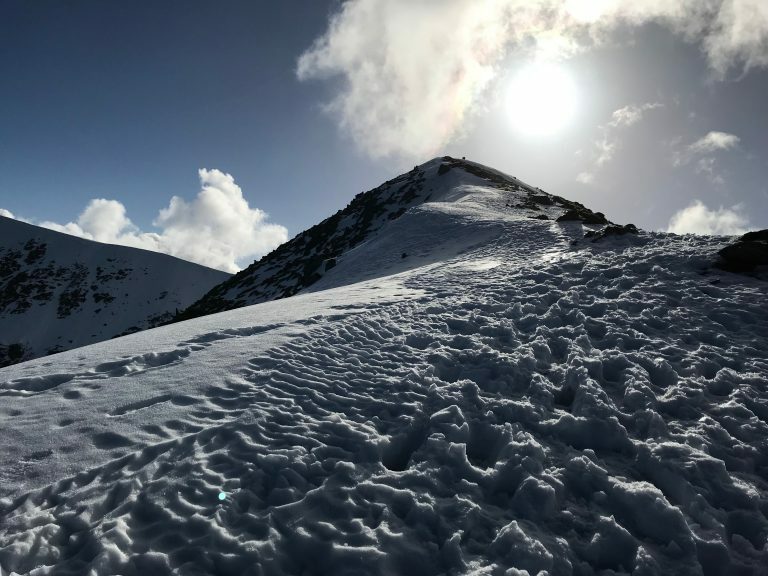 Helvellyn in winter, Britain’s best mountain, is a fantastic winter challenge for the more experienced, and prepared, winter hillwalker. Helvellyn is the third highest peak in England and situated in the Eastern Fells of the Lake District sandwiched between the stunning and tranquil Ullswater and sombre Thirlemere. Helvellyn is situated in such a way that the mountain can be tackled from several starting points either side of the peak. 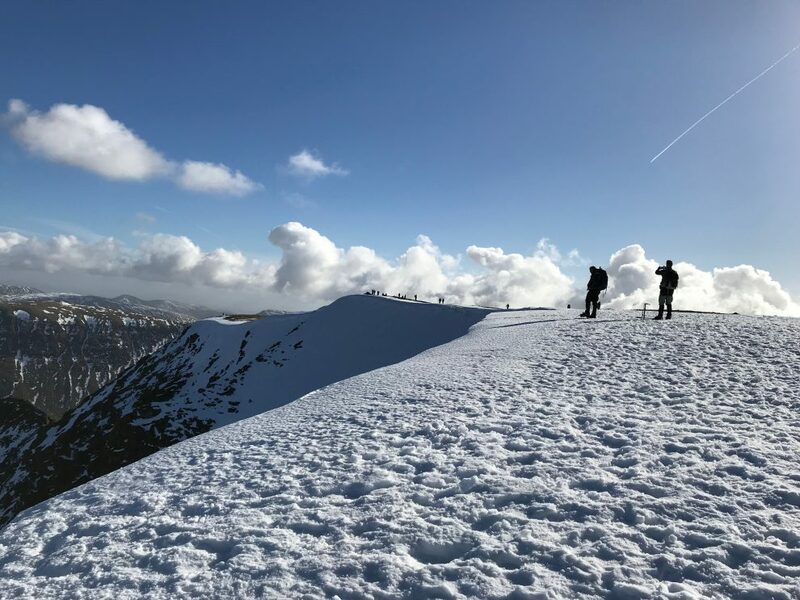 Helvellyn is also well known for its iconic grade 1 scramble across the knife-edge ridge ‘Striding Edge’ and back via ‘Swirral Edge’ with the bonus peaks of Catstyecam and Birkhouse Moor to complete possibly the most iconic and challenging walking adventure in the Lake District. However, tackling this route in winter conditions is only for the serious hillwalker who is fully prepared for the challenge ahead, fully equipped with the correct winter mountaineering equipment and more importantly the experience to use it. 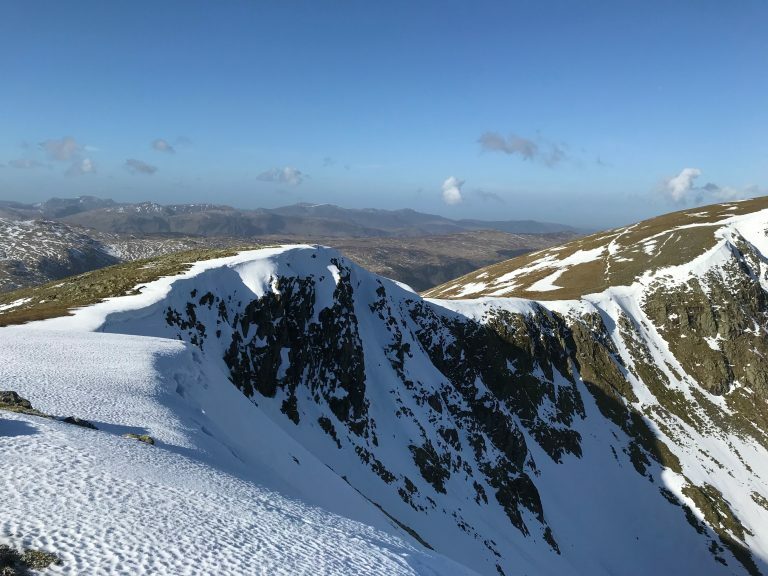 Striding edge in full winter conditions is a well-known accident black spot and should be avoided at all costs if you are unsure of your ability. 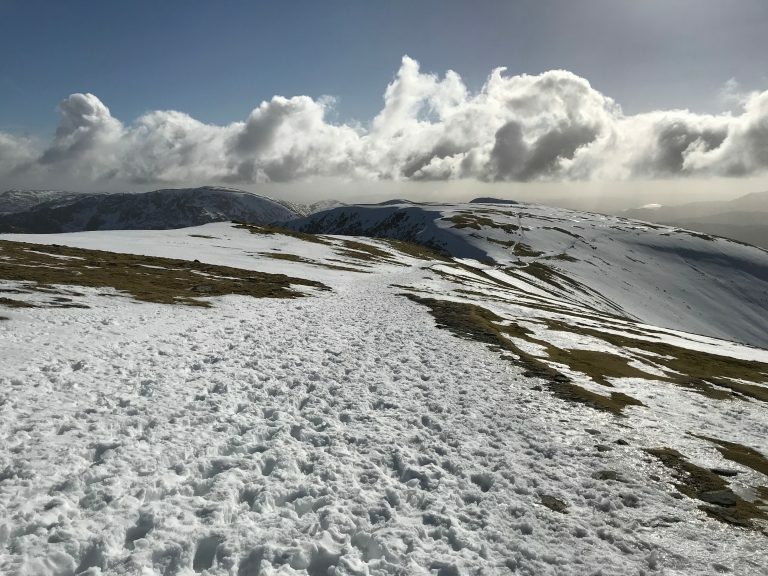 On this walk I took a much longer route and added a few extra peaks along the Helvellyn range which is a great route both in summer and winter conditions. 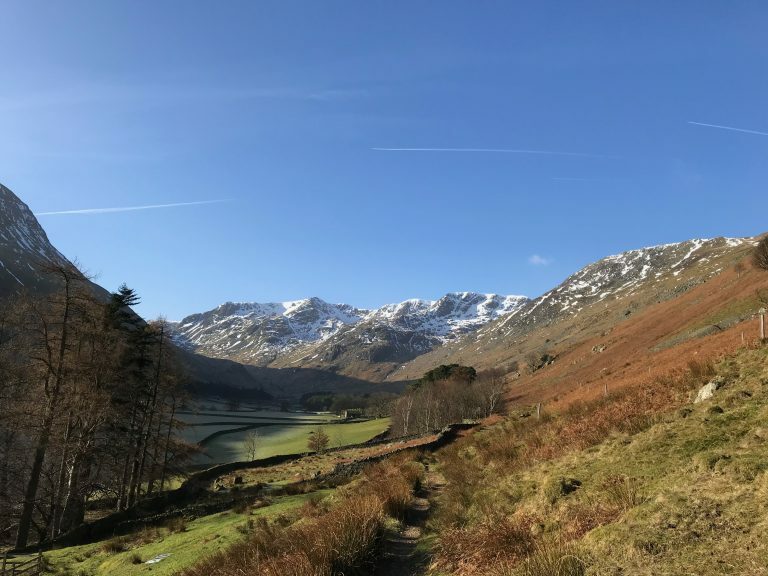 The route starts and finishes in Glenridding and via the Grisedale Valley takes in the summits of Dollywagon Pike, Nethermost Pike, Helvellyn, Helvellyn Lower Man, Whiteside and Raise, before heading back down to the village along Sticks Pass. For those who have just started winter walking and fancy a more direct and easier route to the summit then consider the routes from swirls and Wythburn. These are still tough winter walking routes and still require the use of winter equipment and the experience using them.